When you consider the idea that your hip flexor muscles are basically the motors that move you. Controlling your balance, ability to sit or stand, as well as twist, bend and walk. It becomes easy to see why it is so important to keep these muscles in tip top form. The health and strength of this muscle group is essential for everyday life. So if you are suffering from tight hips or lower back pain. I would like to share four great Tight Hip Flexor Stretches For You To Try!. These stretches are simple to preform and can easily be done anywhere that you have just a little space. Keeping these muscle properly stretched can not only help you with your mobility. It can also help you to reduce or prevent hip and lower back pain. In many cases keeping your hip flexors properly stretched can eliminate such pains all together! Meet The Muscles That Make Up Your Hip Flexors! Think of your hips as the bridge between your upper and lower body. Your hips are at the center of almost every major movement preformed by your body. Sitting deep in the heart of your hips is a muscle group known as the Iliopsoas. These muscles would also be known as your hip flexors. One of these muscle is the Iliacus muscle. This muscles primary function is to lift the femur and acts exclusively on the hip joint. 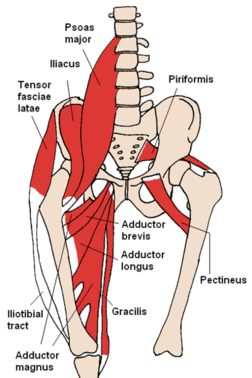 The other muscle that makes up your hip flexors is the Psoars Major muscle. To keep it simple this muscle is responsible for the majority of the movement in your body. It’s often called the “mighty” Psoas (pronounced so-az) for the many important functions it plays in the movement of your body. The Psoas is the only muscle in the human body connecting your upper body to your lower body. The Psoars muscle attaches to the vertebrae of the lower spine, moves through the pelvis and connects to a tendon at the top of the femur. It also attaches to the diaphragm, so it is also connected to your breathing. When your Psoars is functioning correctly it creates a neutral pelvic alignment and stabilizes your hips. It supports your lower spine and abdomen, as well as your organs in the pelvic and abdominal cavity. Keeping you Psoars strong and healthy gives you greater mobility and core strength. One way to do this is by keeping it stretched properly allowing you free movement through out your hips. Here Are Four Tight Hip Flexor Stretches For You To Try! A few years back I was introduced to injury specialist and exercise Physiologist and Kinesiologist Rick Kaselj MS.
Rick is the creator of the Unlock Your Hip Flexors training program. This program is one of two programs from Rick that I have used to address a lower back injury that I currently live with. All of the hip flexor stretching exercises we are going to look at today are things that I learned from Rick and his program. These stretching exercises are great for hitting those often forgotten core muscles! For this stretch you will want to begin in the kneeling position and then bend forward through your hips. Continue by bringing your arms straight out as far as you are able and drop the shoulders towards the floor. Focus on stretching out your spine, your hip area, your glutes and your hamstrings. This stretch is great for mobility within your spine and hip flexors. You will want to preform one set of two reps, and hold the stretch for 20 seconds at the top of the movement. This stretch is great for mobility within your spine and hip flexors. This is a light intensity stretch that will help to loosen your tight hip flexors. You should feel this through out your entire spine. As well as in your hip flexors, your glutes and in your hamstrings. This stretch hits two areas at once. With the straight leg you are looking to stretch the front of the hip. While pulling your knee up you are working on the end range flexion of the hip targeting the glutes and hamstrings. You will want to preform one set of two reps(for each side), and hold the stretch for 20 seconds. This is a light intensity stretch that will work on both side of your hips as you switch from one position to the next. For this stretch begin in the standing position and bend through your hips. Be sure to keep your upper body in good alignment and slowly bend forward. Finish by letting your arms hang freely to the floor. You will want to get movement in each vertebrae as you move to the bottom position. Maintain a good arch in your lower back and hips as you reach the end position. Also be sure to use a smooth and fluid movement through out this stretch. You will want to preform one set of two reps, and hold the stretch for 20 seconds. If you don’t have much in the way flexibility. Just go down to the lowest point you can and build from there. This is a light intensity stretch that will help with the mobility of your spine. You should feel this stretch in your hips, glutes and hamstrings. For this stretch begin in the standing position and step one leg out to the side. Keep the toes of your stationary leg pointed forward. This is a light intensity stretch and you should feel it in your back hip and spine. You will also feel it it the back hip of the stationary leg. Tight Hips Flexors Or Lower Back Pain Got You Down? Today we have covered some amazing stretches that will help you to open your hip flexors and relieve lower back pain and discomfort. I learned all of these stretches from Rick and his Unlock Your Hip Flexors program. I wanted to share them with you because of the way that they have helped me. If you are suffering from tight hips and/or lower back pain. Then I highly recommend that you check out Rick’s Unlock Your Hip Flexors system today! Rick has over 16 years working as an injury specialist. He has also taught hundreds of other health and fitness experts his approach to injuries. He has helped me over come the pain and discomfort associated with my back injury and I know he can help you as well! If you would like to receive more information on the Unlock Your Hip Flexors program. Or if you would like to learn where you can get it, simply click the blue box located just below! Tight Hip Flexors And Back Pain. 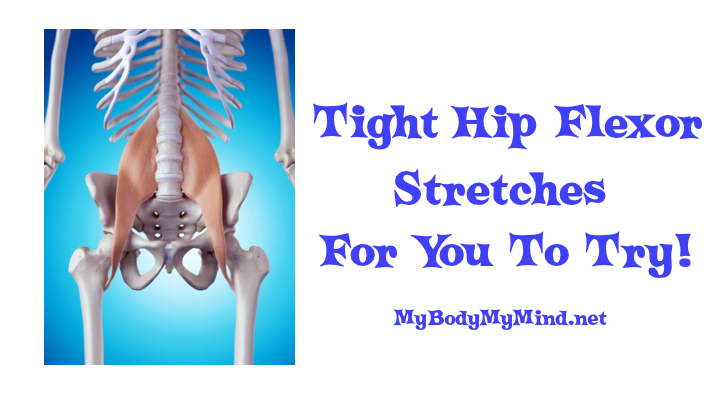 Thanks for checking out my article: Tight Hip Flexor Stretches For You To Try! Here are four great stretches to help loosen your hip flexors! Previous Post Previous post: Home Exercises For Lower Back Pain! Next Post Next post: Compare Teeter Inversion Tables – Here’s Your Best Option! Looks like I discovered this page in the nick of time. After many years as a dog owner, I said goodbye recently to my furry friend. We used to go on long walks three or four times a day. Now, with no reason to go outside, I’ve been talking walks anyway. But what I really need as a relief from sitting at home in front of a computer for hours ,is a way to stretch my legs and hips. These exercises are perfect for me. I just turned 65, am in reasonably good shape and these Hip Flexor stretches are low impact and perfectly suited for me. Thank you for putting together an informative and useful page. I will continue to explore this site for more useful information and exercise instruction! Sorry to hear of your loss. I had to part ways with my furry friend last September. It can be quite heart wrenching. I also found my self less active after he passed so I know exactly where you are coming from. It is important for us to get back into being active though. Motion is lotion to me, and keeping our bodies healthy and in good shape become even more important with time. Hal give these stretches a try for a few weeks. If you find that they are not quite getting you loosened up enough. You might consider giving the Unlock Your Hip flexors a try. It is a complete training program that focuses entirely on your hip region and getting you back into the game! Good Luck my friend! 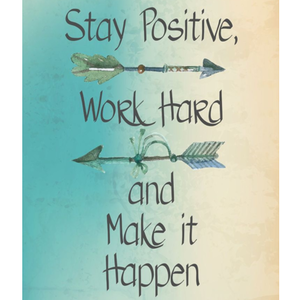 Let me know how things are working out for you! Your article on Tight Hip Flexor Stretches is just what the doctor ordered for me, literally! I have very tight hip flexors and it effects the rest of my body. I’m tired of taking Tylenol Extra Strength pills all day long. Anyways, I tried a few of your exercises and felt better immediately. The forward fold stretch help me out big time! I saved your website to my favorites and shared this post with all my friends on Facebook. Thanks all the great info, it has helped already! Having tight hi flexor muscle can cause you to experience a pelvic twist. When this happens your hip joint is being pulled out of alignment. Usually the cause is due to muscle imbalance, or one set of muscles being stronger than another. These stretches will help to loosen you up. However you should consider addressing the issue with some strength training exercises as well. The Unlock Your Hip Flexors program is just the ticket for this problem. In that program you will learn exactly what to do and when to do it. Give these stretches a try for a week or two, and if your problem still exists you may want to consider giving the Unlock Your Hip Flexors a try. Thank you for the hip flexor stretches. I was injured in a car accident. Hit by a DUI driver from the rear. 7 years later still suffering from all sorts of pain. My hips and lower back are always stiff. So this will be a great exercise for me. Sorry to hear about your ongoing injury. I know your pain as I also live with an injury in my lower back. I think these stretches will help you out greatly. Take your time and start out slowly, than add a few seconds as you are able. You should begin to notice some added flexibility after the first few times you use them. You may also want to consider checking out the entire Unlock Your Hip Flexors Program. It was created by injury specialist Rick Kaselj, and I believe it might be able to help you achieve increased mobility as well as relieving the discomfort you are living with! Best wishes to you Kris and good luck with the stretches! Excellent information! Thanks for the stretches. Its good place to start to address my low back pain. Looking forward to more posts! Great to hear from you! Glad you like the stretches, definitely be on the look out for more. I will have them coming soon. If you are having issues with lower back pain these are aq great place to start. Also if you find that these are helping you, it might be a wise decision for you to check out the Unlock Your Hip Flexors complete program. That is where I learned these great stretches. There is a ton of information on ways to strengthen your core. Thus leading to a decrease in lower back pain and discomfort. Keep me posted to your progress Melody, and I will talk to you later! I think a good stretching routine would help you out a ton. In my last job I would spend 15 hours a day standing and moving, stretching was a ritual for me! These hip flexor stretches are sure to help you loosen your pelvic area. This helps you gain and maintain your core flexibility. Tammy you should also look into doing some strengthening exercise as well. At first this may add to the aching, but once you begin to add strength to the muscles and joints in your core, legs, and back that ache will diminish. The Journal of the American Medical Association posted an article that states, ” The current evidence suggests that exercise alone or in combination with education is effective for preventing Lower Back Pain”. I would have to believe that the same goes for the pelvic region as well as the core. Many aches and pains are the results of muscle imbalance, or when an opposing muscle group is stronger the opposite muscle group. Tammy I think you should definitely consider adding some form of strength trainingto your weekly routine. If you are not sure where to begin, I would also recommend that you check out my Review of the Unlock Your Hip Flexors Program. Tammy best wishes to you! Let me know how the stretches do for you, and watch for more to come!